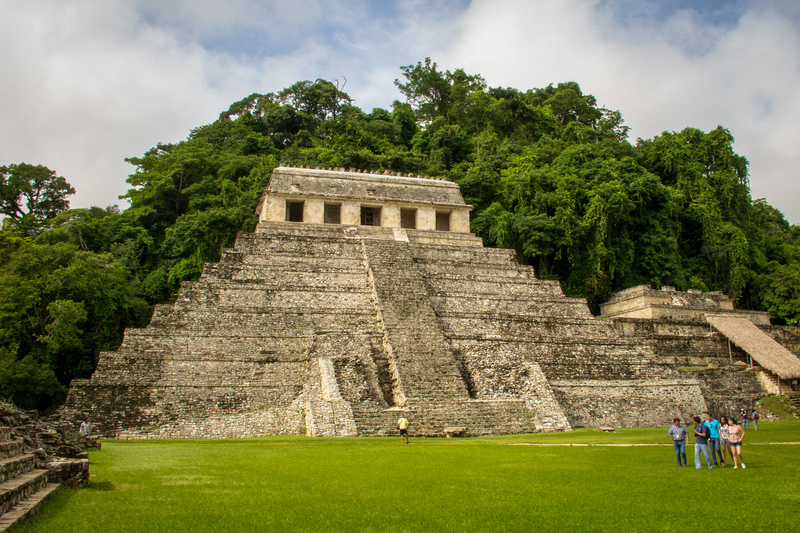 What Are the Palenque Ruins? 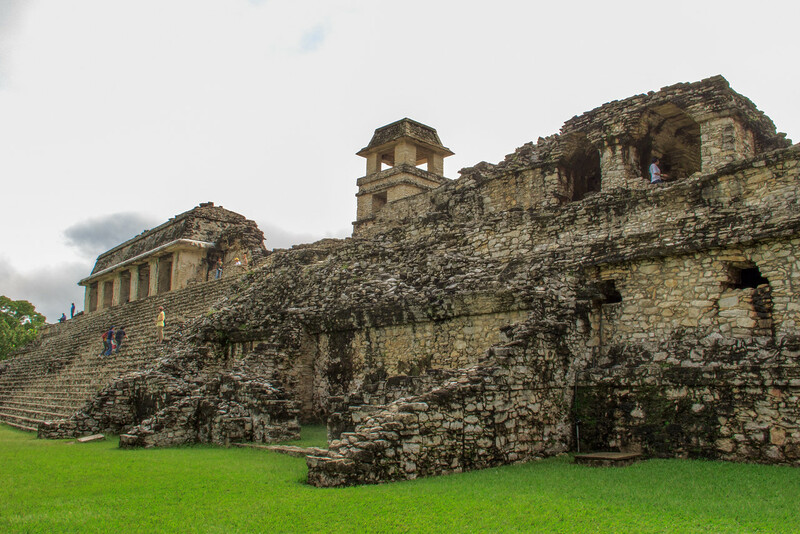 The Palenque ruins in Chiapas are a medium-sized and very well preserved Mayan ruin dates back to 100 BCE. It was slowly developed over centuries and was occupied until 800 CE. 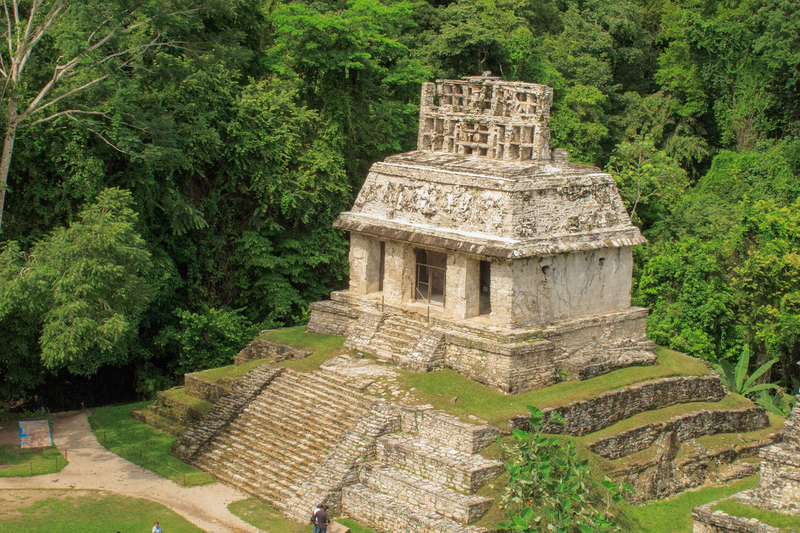 It’s extraordinary jungle setting and amazing architecture makes it one of the most desirable Classic Mayan sites to visit. The “discovered” area covers over one square mile but it is estimated that this is only about 10% of what is actually there with the remainder still hidden by the thick jungle foliage. This is definitely one of those places that make retirement and adventure. The palace itself is actually a complex of several connected and adjacent buildings built up over several generations on a wide constructed terrace. You can climb the temples and wander through the quarters of the ancient rulers, privileged classes, and administrators. The jungle has irretrievably consumed most of the places where ordinary citizens resided but there are still tantalizing artifacts discovered almost every day by the archaeologists currently working on the site. Just outside the grounds, there is a varied array of accommodation for both short and long-term stay. There is everything from places to hang a hammock to luxury hotel suites all hidden away in a strangely lively jungle scene. Great restaurants, lively bars and adventure tour places all coexist side by side, close to each other but separated by thick vines, rapidly running streams and huge palm trees. We heard several different languages being spoken and everyone from hippies to honeymooners seemed to be enjoying the scene. I opted to stay on a small rambling property with everything from inexpensive palapas with fans to small but very clean air-conditioned hotel rooms. I opted for the air conditioning (400 pesos per night) but it seemed like the palapa would have been comfortable too. If you are in the area I highly recommend spending a day or two touring the ruins and just hanging out in the jungle near the entrance.